Ari is a Partner at Techstars on the Venture team, where he does his best to thoughtfully leverage more than a decade of experience on the entrepreneur's side of the table. Ari was also previously the Network Catalyst at Techstars, developing programs and infrastructure for Techstars' worldwide network of Founders, Investors and Mentors. Prior to his focus on early stage investing, Ari spent over a decade as an entrepreneur, founding several companies and joining other venture backed technology companies. Additionally, he is on the Board of Directors at GreatHorn, Smart Vision Labs, Ello, http://rescuetime.com/ and the Rocky Mountain Venture Capital Association. Previously, Ari was the VP of Strategic Partnerships at Jive Software (JIVE), who acquired his most recent company Filtrbox (Techstars Boulder 2007) in 2010. 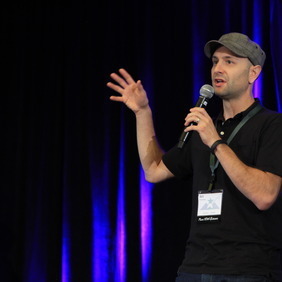 Prior to Filtrbox, Ari was Founder and Principal of Newman Venture Advisors, VP of Product Management at CreekPath Systems (sold to Opsware) and Director of Operations at Volera. His first start-up was JustOn.com, sold to Novell in 2000. Born and raised in the San Francisco area, Ari has a Business Administration degree from the Leeds School at CU-Boulder. He lives in Boulder, CO with his wife and two children, where he pursues his many passions in life. Connect with Ari on Twitter or LinkedIn or check out his blog.